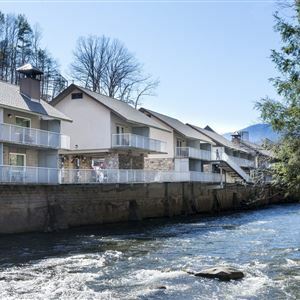 Property Location With a stay at Rocky Waters Motor Inn in Gatlinburg, you'll be on the Strip and minutes from Sweet Fanny Adams Theatre and close to Ripley's Aquarium of the Smokies. This hotel is within close proximity of Cooter's Place and Herbert Holt Park. Rooms Make yourself at home in one of the 36 individually decorated guestrooms, featuring refrigerators and microwaves. Rooms have private balconies. 32-inch flat-screen televisions with cable programming provide entertainment, while complimentary wireless Internet access keeps you connected. Private bathrooms with shower/tub combinations feature complimentary toiletries and hair dryers. Amenities Make use of convenient amenities, which include complimentary wireless Internet access and a television in a common area. Dining For your convenience, a complimentary breakfast is served daily from 7:30 AM to 10 AM. Business, Other Amenities The front desk is staffed during limited hours. Free self parking is available onsite. 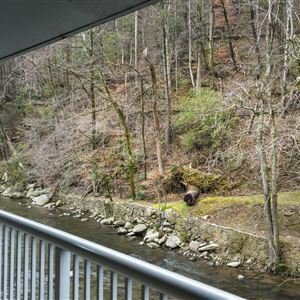 With a stay at Rocky Waters Motor Inn in Gatlinburg, you'll be on the Strip and minutes from Sweet Fanny Adams Theatre and close to Ripley's Aquarium of the Smokies. This hotel is within close proximity of Cooter's Place and Herbert Holt Park. Make yourself at home in one of the 36 individually decorated guestrooms, featuring refrigerators and microwaves. Rooms have private balconies. 32-inch flat-screen televisions with cable programming provide entertainment, while complimentary wireless Internet access keeps you connected. Private bathrooms with shower/tub combinations feature complimentary toiletries and hair dryers.